With over 25 years of warehousing, order fulfillment, distribution, inventory control and supply chain experience you can focus on your core competency knowing your supply chain needs are in good hands. We listen to our clients requirements and strive to meet or succeed for every client each and every day. 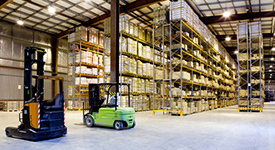 Our highly trained professionals are experienced in all areas of third party logistics. They are energetic, customer centric, professional and will treat your account with the personal care you want and deserve. Our leadership team is comprised of proven leaders who bring experience and expertise in E2E Supply Chain Solutions, product storage, order fulfillment, domestic and international distribution and IT solutions. At Wolf Warehousing and Logistics our goal is to give you the customer experience you require and deserve.